I will have no trouble falling asleep now but I think I might have a little trouble getting up in time to make breakfast for my children before school in just a few short hours, haha but I have to say it was well worth the loss of sleep tonight. I just love this little guy and I hope you will too! online out there. I did a quick google search and there's many! OK, that's it folks, I have to go close my eyes now but do come back on Nov 11th for the pattern! What a sweet bear. 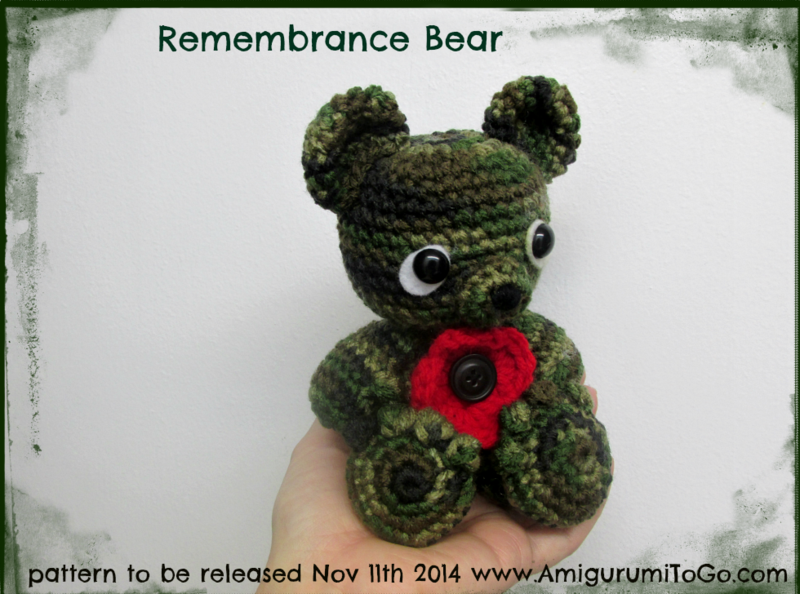 A cute little bear as a reminder of the terrible event on 10 November 2013. What a beautiful thought! The heart symbolizes love, and bear the necessary force. Thank you for sharing this with us. I love your blog and the fact you home school your children. Thank you for sharing your bear with us who follow your blog and I can hardly wait to do the pattern myself. I do hope you get more sleep. Thanks again.